The theme of this year’s Førde Festival: Flight! In the past, now and almost certainly in the future we will be witness to the exodus of populations; from war, hunger, ethnic or religious persecution, poverty, lack of freedom of expression, and other reasons. Today, refugees from countries such as Syria, Afghanistan and Eritrea seek sanctuary in Europe – and bring their cultures with them. Still others are internal refugees. Colombia, for example, is after Syria the country with the greatest number of internally-displaced persons (UNHCR). Some seek sanctuary in neighbouring countries, while others travel from their own continents to Europe. They bring with them tragic and dramatic histories of difficult lives and sad fates. But they also bring their skills, abilities, cultures and traditions – and their music. Mor Karbasi carries an important sephardic jewish heritage . “With this year’s theme we focus on the cultural richness and complexities of countries we otherwise associate with, and hear about in conjunction with, war, conflict, poverty and distress”, says Festival Director Hilde Bjørkum, who wants instead to reveal the beauty of the cultures and music from these countries, and remind us all that migration has constantly influenced and developed our societies and cultures since the dawn of time. Syrian religious diversity in new musical production. Syria is culturally and religiously the most diverse country in the Middle East, and is home to the eldest traditions of Christianity. It also hosts branches of Islam and Judaism. Syria has lived with this great religious complexity for many hundreds of years; serious conflicts have only arisen in more recent times. This is reflected in the musical traditions of these different religious directions. Another of the premiere productions of the festival of 2016 looks at the lullaby. This song form is a common thread uniting all cultures over the entire world. Regardless of where we come from, we sing to our babies. The festival has initiated a project in which a selection of immigrant women in Sunnfjord is invited to share their lullabies with us. Norwegian lullabies are also included in this concert, to be held on Sunday during the festival. The artistic leader of the project is the well-known Norwegian singer Kari Malmanger, and the project is a collaboration with the county of Sogn og Fjordane. faytinga from Eritrea - the combatant who became a musician. Many of this year’s theme artists, the public can hear already during the big opening concert, Flight!, on Thursday, July 7 in Førde. 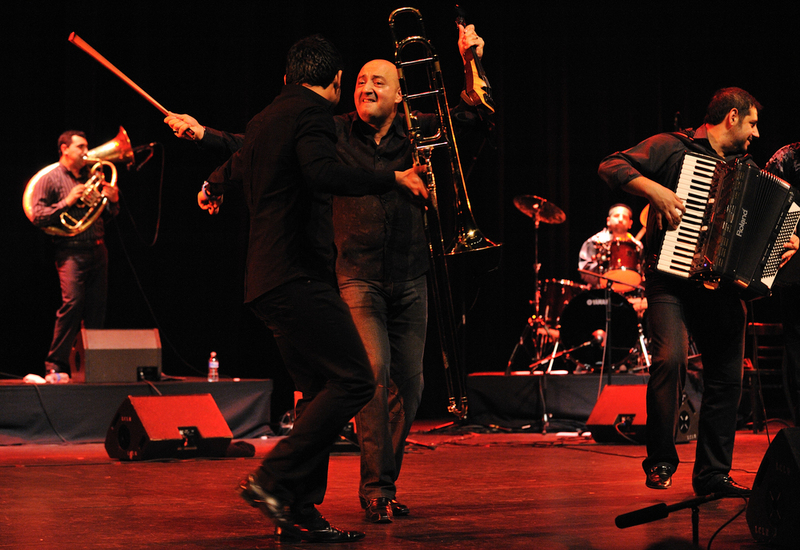 One of them are the Syrian group Broukar, formed in 2007 in Damascus, but whose musicianstoday live as refugees in different European countries. Through this ensemble the public will also experience the unique Whirling Dervish dance. From Eritrea comes Faytinga, while the star vocalist Mor Karbasi gets her Sephardic-Jewish musical tradition from Spain. The Sephardic tradition dates back to the times before many thousands of Spanish Jews were forced to flee during the fifteenth century. She sings in the Jewish language of Ladino, which she through her career has helped save from extinction. The Romani are represented by the groups Romengo from Hungary and Mahala Rai Banda from Romania. 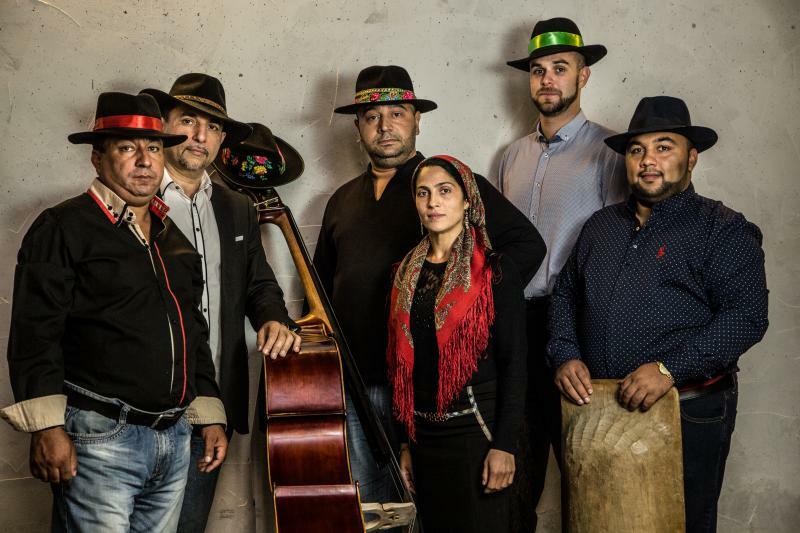 These two groups will play together at Festplassen park in Førde on Friday night during the festival, in what the director hopes will be a legendary Gypsy feast. 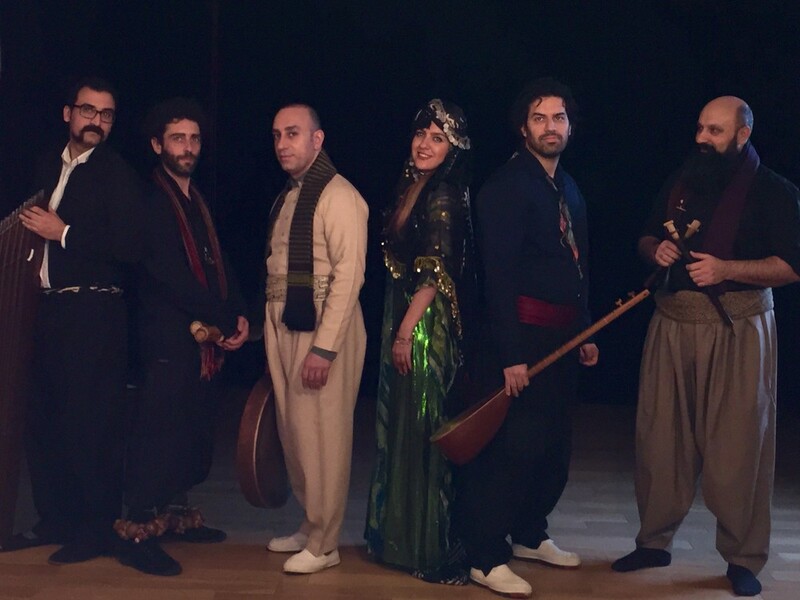 You’ll also hear captivating dance rhythms when the group Nishtiman take the scene with their high-spirited Kurdish music.